What better way to honor Kia’s new Give It Everything spirit than with the hardworking people of West Point, Georgia, where Kia’s newest and finest creation, the Telluride, is being built. We call them The Great Unknowns. In fact, they became our stars. And Super Bowl 2019 would be their stage. Our Teaser film got the conversation started. While other brands spend millions on celebrities for their Super Bowl ads, we took the money that would have been spent on a celebrity and established The Great Unknowns Scholarship to help young people from less privileged communities get a foothold in higher education. 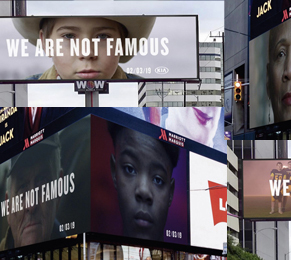 Meanwhile, enigmatic billboards proclaimed ‘We are not famous’ over arresting portraits of West Point residents and plant workers. 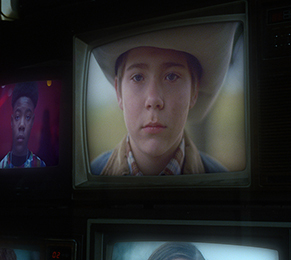 At the Super Bowl, a moving 90-second spot told the story of West Point and how their Give It Everything spirit goes into the making of each and every Telluride. We also premiered Just a Small Georgia Town, a new short-form documentary that uncovered the full story. Finally, Give It Everything also came to life in the words of a new manifesto adorning the hallways of Kia itself. A reminder that this wasn’t just an ad campaign, this was a way of living the brand.